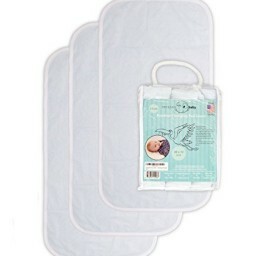 Forget todler changing table, pad or bed was soiled when you changed you babies diapers. Are You Sick and Tired of Mess and Stress changing you babies diapers? 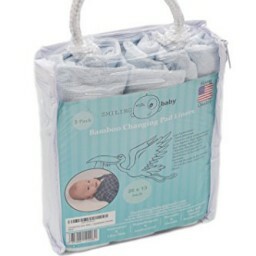 TheSmilingBaby changing table pad cover is what you need! There is nothing more important than your baby. But baby diaper changing can be a messy time consuming task. This unique baby product designed to make your life easier. 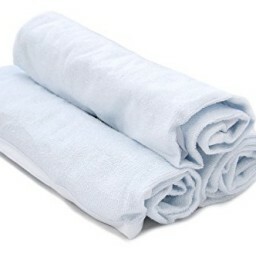 Forget todler changing table, pad or bed was soiled when you changed you babies diapers. It combines all in one: Waterproof, gentle, absorbent; all fitting in this small but smart invention that will make diaper changing easy as a breeze! The Hottest Baby care gear 2016 That Is Here To Stay! Works with all baby changing tables. PREMIUM QUALITY - Made By Highest Quality Materials: 70% Rayon from bamboo, 30% Polyester leading baby care manufacturing technology. PERFECT RESULTS - Your baby changing table will be always safe and clean because of waterproof layer and absorbent surface. WASHING MACHINE SAFE - Wash it in (up to 30 degrees) disinfection is not necessary because of bamboo natural antibacterial properties and always have a fresh one ready. WARRANTY- 60 days money back, 100% satisfaction garuantee. It's your Free time that we're talking about - don't waste it! 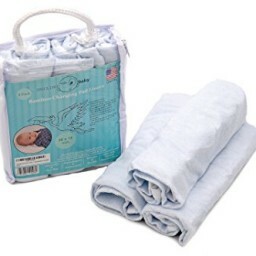 Click the "Add to Cart" button to order the TheSmilingBaby Changing pad Liners NOW!